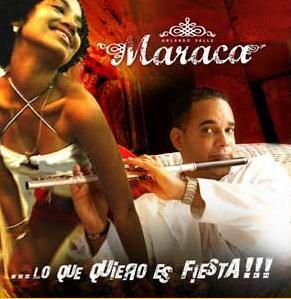 Cuba�s Premier flutist and composer �MARACA� has been described as �The most influential Afro-Cuban band of the emerging century� (Howard REICH � THE CHICAGO TRIBUNE, USA), meanwhile Cuba�s national newspapers claim him to be �An essential personality in the actual panorama of Cuban music� (Omar Vazquez � Granma). Considered as �one the hottest names in Afro-Cuban music� by The Los Angeles Times, Orlando �Maraca� Valle is highly appreciated for his spontaneously celebratory, rhythmically complex, lyrically clever, and instrumentally thrilling music; his brilliant fusions range from Latin jazz to the most danceable tropical rhythms, and his spectacular live performances as well as his multi-award winning recordings have made him famous all over the world. The New Collective is a band of ten of the best musicians from Cuba today. His nomination as �Best Salsa Album� at the US Grammy Awards in 2003 made him the youngest Cuban artist ever nominated by the US National Recording Academy. Rounding out the evening will be a performance by local guitarist Rick Sikorski and a salsa demo from Salsa de Cuba.